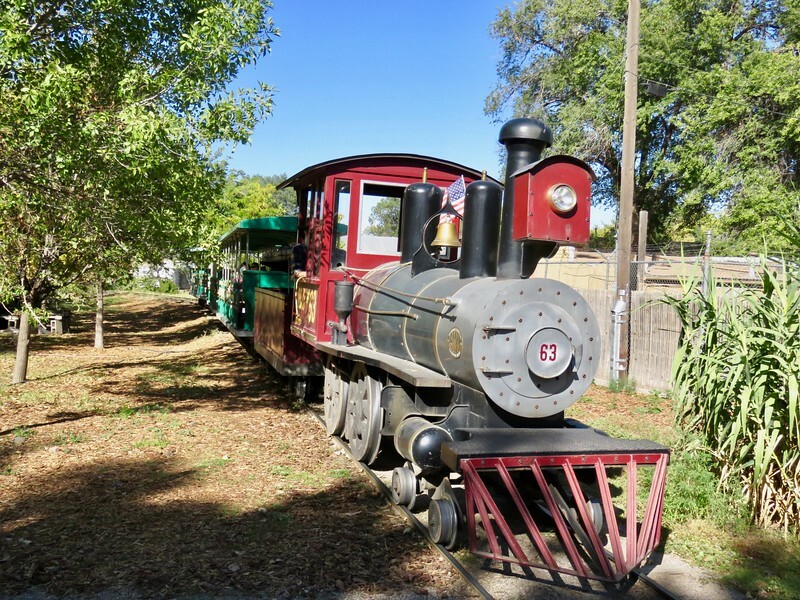 Albuquerque is more than just the quirky city in the desert where Bugs Bunny should have taken a left or so we discovered on our recent trip. I recently wrote about our experiences at this well known hot air ballooning festival (see Albuquerque International Balloon Fiesta – A Bucket List Adventure – Video #93), so suffice it to say here that going to Albuquerque for the balloon Fiesta was on my bucket list and didn’t disappoint. But even if you are in the city for the Fiesta, that winds down by mid-morning so you should take in some of the sites below. 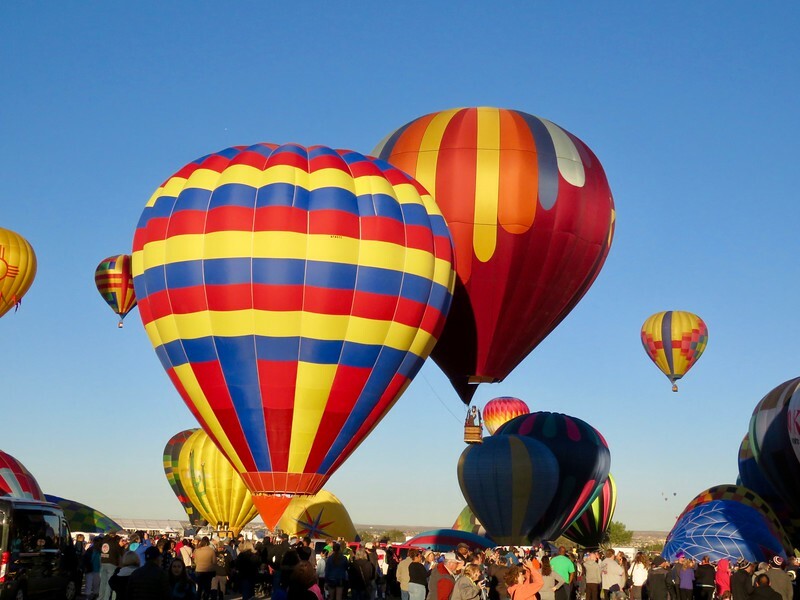 Even if you are not in Albuquerque during the Balloon Fiesta you can take a ride in a hot air balloon. 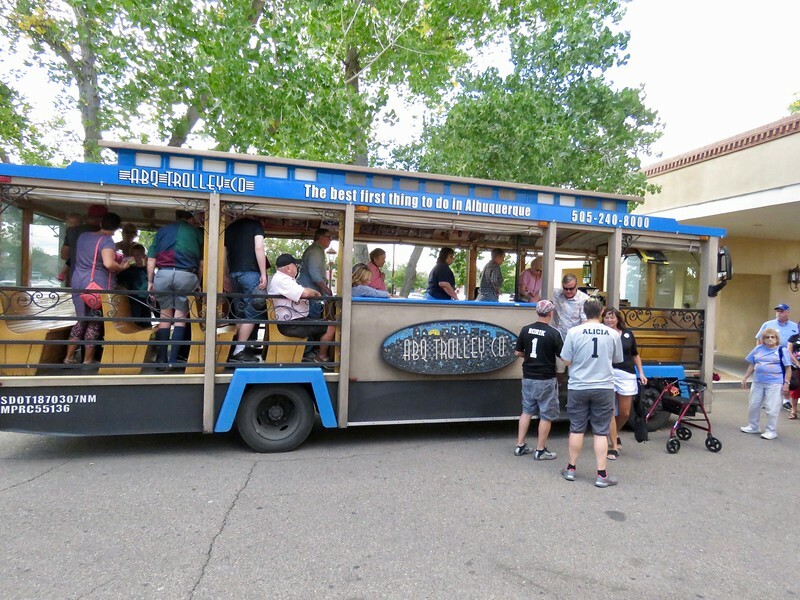 The ABQ Trolley Co. bills its “Best of ABQ City Tour” as the “best first thing to do in Albuquerque.” I think they have a good argument for that title. It is a great overview of the neighborhoods and some of the history of Albuquerque. We boarded the tour at the Hotel Albuquerque at Old Town (check rates) for a 2 hour guided tour through the city. The tour uses a combination of a guide and pre-recorded segments to introduce you to the city. Where else would you learn that the local minor league baseball team the Isotopes was named after the team in the Simpsons TV show, that Albuquerque dedicates 1% of City construction funds to public art projects, or that you can see in the city and that Albuquerque is the only place where the old route of Route 66 crosses itself. Along the way, our guide pointed out filming locations from movies and TV shows, most noticeably Breaking Bad. She also left us with ideas of where to go for a great meal. Our guide also pointed many of the public art installations. After you take the tour don’t forget to pick up your discount guide to many of the sites you have just scene that the Trolly Company offers. The zoo, aquarium and botanical gardens are part of a larger BioPark connected by a narrow gauge railroad. The 3 parks have different entrances and can be visited separately or as a unit. 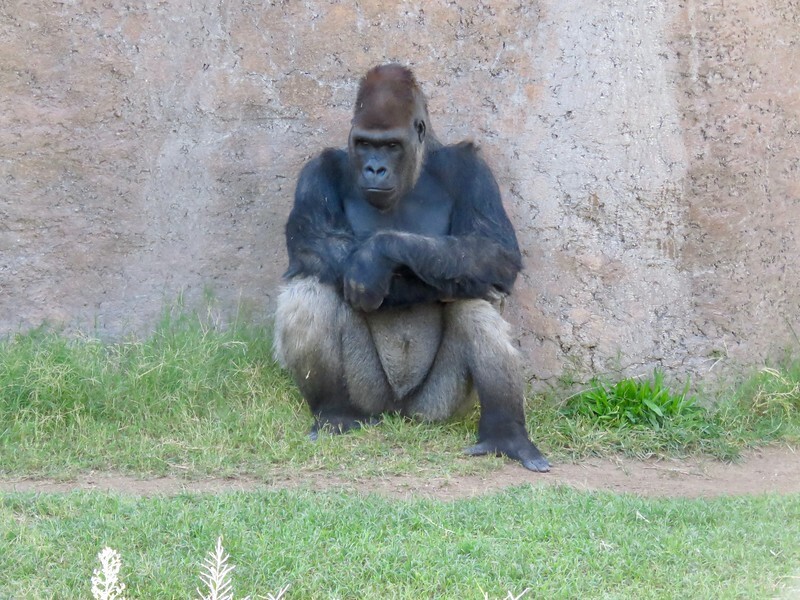 The zoo is doing some major remodeling and there were lots of areas under construction. In 2018 they will be opening up a new polar bear exhibit for what are likely to be some very surprised polar bears who find themselves in New Mexico. We visited in the heat of the day when many of the animals were taking a siesta so if you dedicate a day to the Bio Park I would recommend visiting the zoo in the morning or late afternoon and saving the middle of the day for the aquarium. 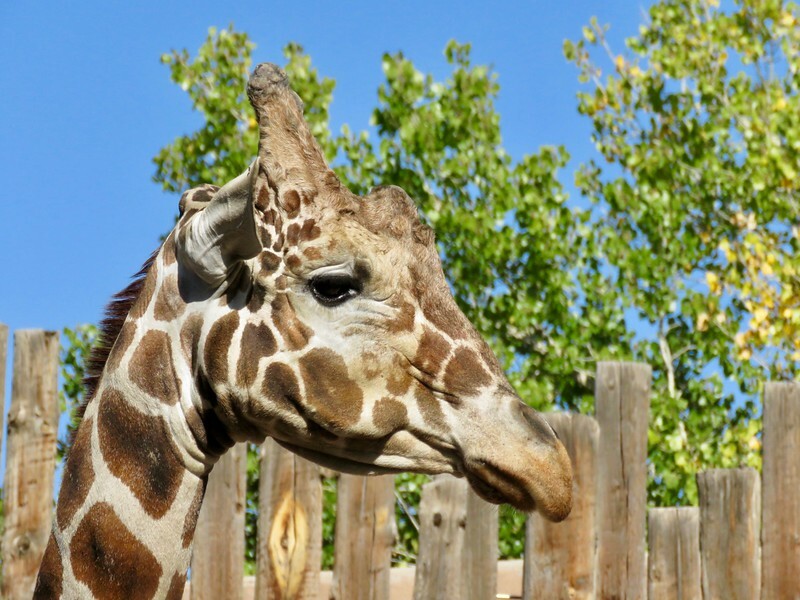 The zoo has lots of information aimed at its younger visitors to explain why many of these interesting animals are threatened in the wild and by what. 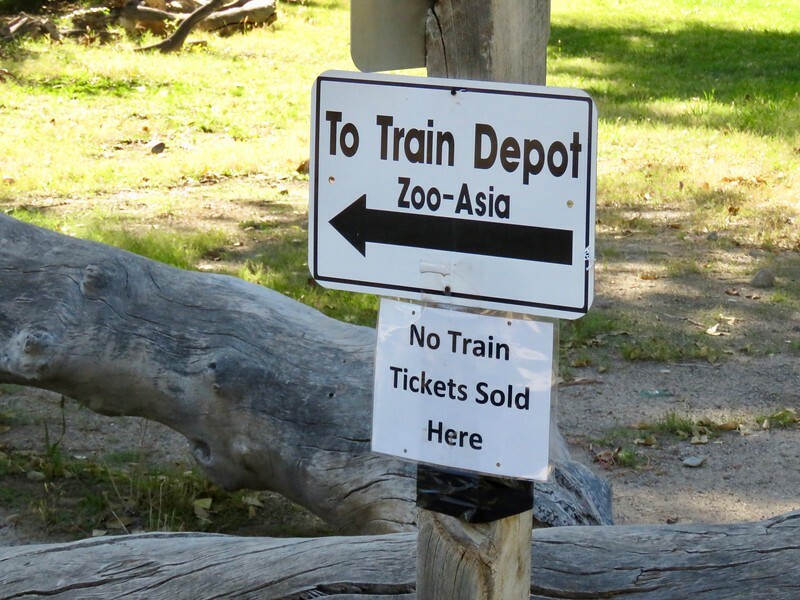 If you do want to take the train from park to park buy your tickets at the front ticket office as they are not available back where you would board the train. 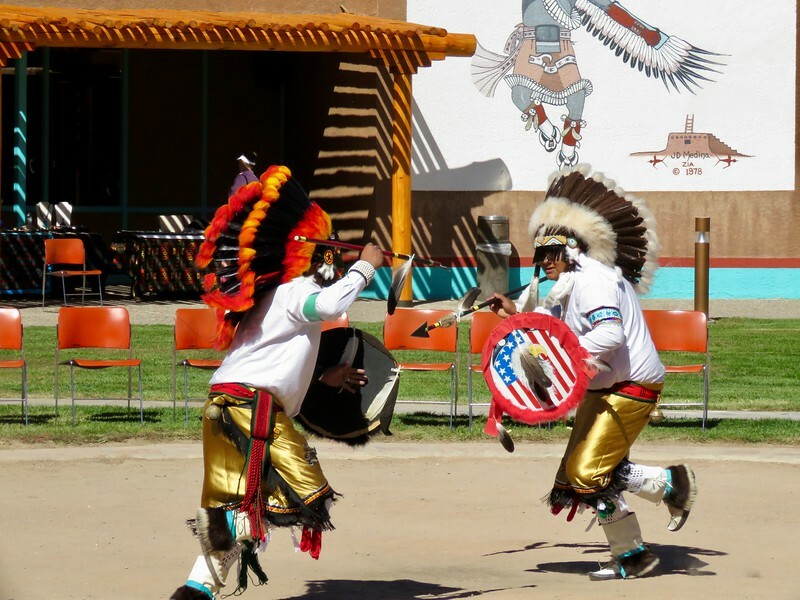 19 different Pueblo Indian tribes joined together to promote their heritage at the Indian Pueblo Cultural Center. Ironically the center is located where an old Indian boarding school was located that was built to inculturate the local native Americans to be less “Indian” and more “American”. Now the center displays art, history and legends from the local people. Their roots go deep into New Mexico. Two of the local pueblos Taos and Acoma are the two oldest continually inhabited towns in the United States. They date back to around the year 1000. The center is built around a central courtyard where local dancers were performing, ringed by some of the best of local craftsmen and craftswomen. The center makes sure that artists who are selling their goods here are not selling items made by the indigenous people of China. Even if you don’t have time to visit the museum, you can eat at its popular cafe without a museum entrance fee. And no, as some ask, you don’t have to be Native American to visit nor to enjoy a visit. The permanent collection takes around an hour to see. Allow more time for the performances, shopping and dining. During the Balloon Fiesta the center has a richer calendar of events to take advantage of the influx of tourists. 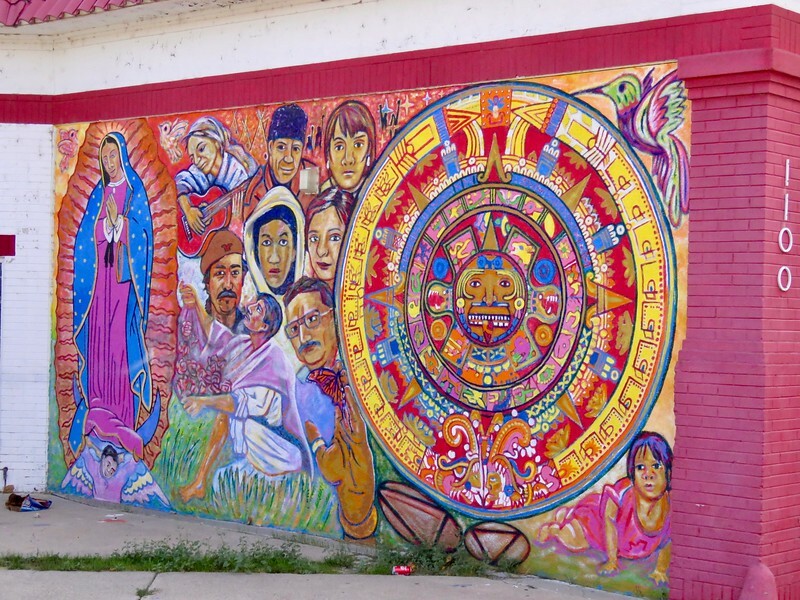 Across town, Albuquerque has a second cultural center to celebrate the Hispanic heritage of this former piece of Mexico and Spain. We did not have time to visit it on this trip but we did learn from the ABQ Tolly Co. that they make a mean milkshake in their cafeteria in either a normal or adult version. The Petroglyph National Monument was not originally on our busy schedule but how could we skip this local park in the National Park Service once we saw the signs off the highway. The park encompasses 7,236 acres west of the city. There are a few different hikes that you can do that will bring you out to where local people created drawings on the volcanic rock from Albuquerque’s dormant volcanoes. We got directions at the Visitor Center to the hike at Piedras Marcadas Canyon which leaves from a small parking lot in a local subdivision. Close to where the current local people play little league and sell girls out cookies are these ancient drawings. I would have loved to have done a ranger guided walk to get a better idea what these might mean. They have the look of a pre-historic “Kilroy Was Here”. 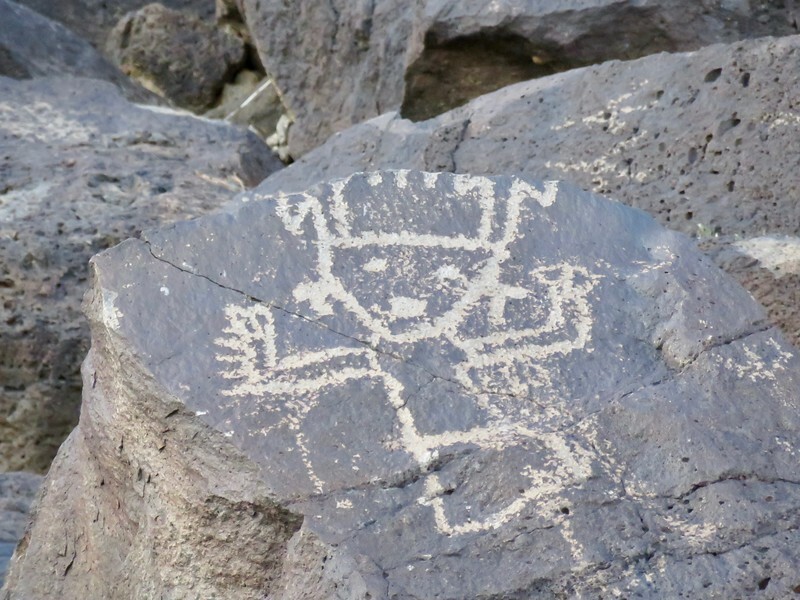 See all my photos of Petroglyph National Monument. The other unscheduled stop we made was to visit a meuseum that celebrates some of the history of my people, eggheads and nerds. 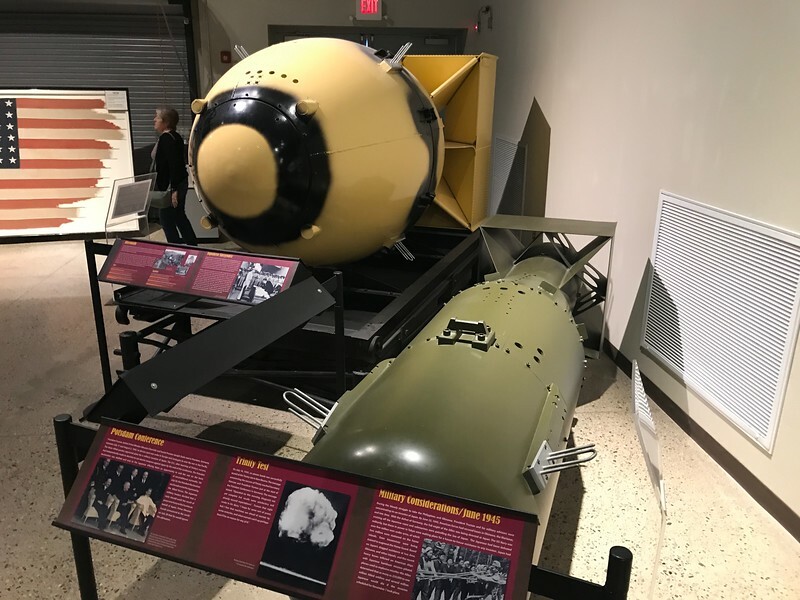 The National Atomic History and Science Museum is associated with the Smithsonian and does a great job telling the story of the development of nuclear power and of the development of the atomic bomb and the role of New Mexico in that creation. The docents at the museum were nuclear scientists who had retired from White Sands or Sandia Labs. The museum has a great area for kids to make some of the science more approachable. They also don’t shy away from the problems with the bomb or the accidents that have happened with nuclear power. 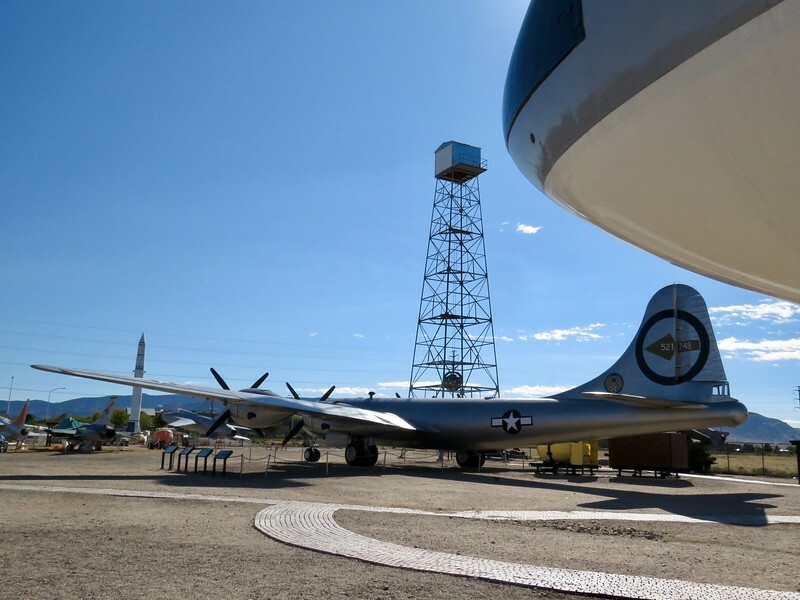 In the backyard of the museum they have the conning tower of a nuclear submarine, a Boeing Superfortress (like the Enola Gay which dropped the first atomic bomb), a B52 bomber, and a replica of the “gadget” (the tower where the first plutonium bomb was test detonated in the New Mexican desert), and a host of other missiles and planes. Old town is where Albuquerque started. The area is now mostly a shopping and dining area. This is a particularly good place to find local crafts. This is not an area of the city where you would find nightlife, as the shops were closing up around 5pm. For a better place to find nightlife take Central Avenue out to the area of Nob Hill where there are a number of good restaurants and bars. 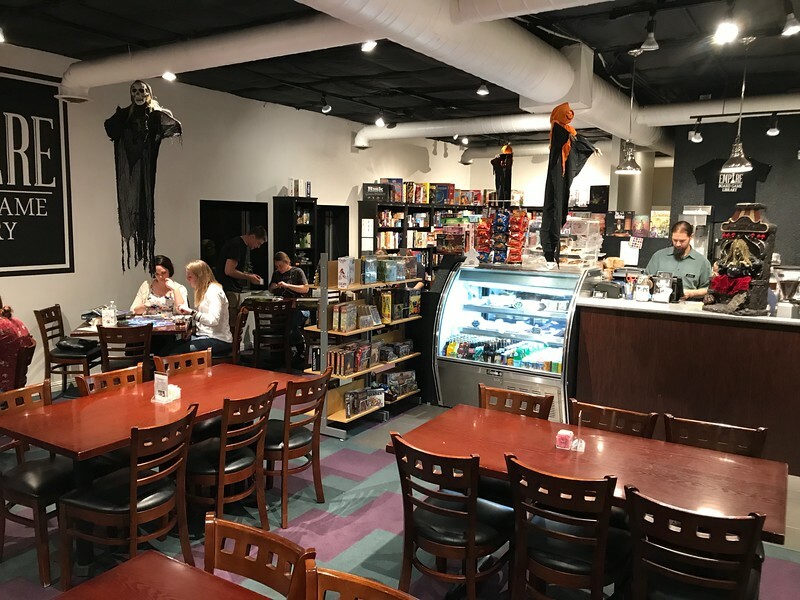 We also discovered a great board game store (Empire Board Game Library) where you could rent one of their board games by the hour for $2 a person. During the Summer you should take in a baseball game with the Albuquerque Isotopes because… they named their baseball team the Isotopes. How nerdy cool is that? 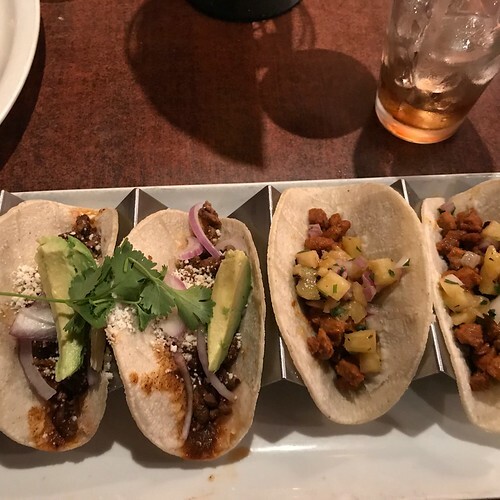 I managed to find 12 things to do in Albuquerque, even without mentioning the great food (see 7 Great Places to Eat in Albuquerque). Whether you come for the Albuquerque International Balloon Fiesta or come when the city is quieter, Albuquerque is worth a visit. See all my photos of Albuquerque.